What Paul’s Been Up To: Not too much out of the ordinary. He finished up interviewing with our bishop and stake president as part of the admissions process to get into BYU-Idaho. No, we’re not moving. He’s working on completing his Bachelor’s Degree in IT online. 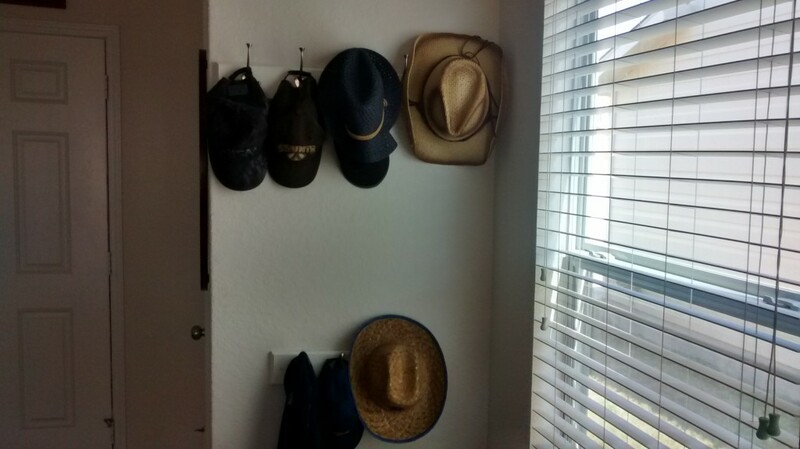 He also put up some hooks for me so that we have a place to hang hats and whatnot. The hat rack was nice, but was a little more cluttered-looking than I liked looking at all of the time. What Joseph’s Been Up To: A lot of pretend-play. Earlier this week he was pretending that I was Princess Peach and he was Mario, so he had to protect me from Bowser (all from Mario Brothers). He’s also loving the fact that I’m allowing him to be a bit more independent. The other day, he hopped down from his place at the table (oh yeah, Paul pointed out that he was almost outgrowing his booster seat, so we took it down and now he sits at the table with us in just a chair…another thing that he loves) and put his plate in the sink and his cup back in the fridge, all without being asked. It was such a great parenting moment! Finally, he’s showing even more of his sweet side. He’ll ask/tell me and Paul if/that we’re his best friends and ask/tell us if/that we love him. Oh, and he’s decided that his current favorite church song is “I Love to See the Temple”. When I go in to sing him a bedtime song and ask what song he wants me to sing, he’ll almost always pick that one. I love it! Joseph loves it when we make decorations for the door. 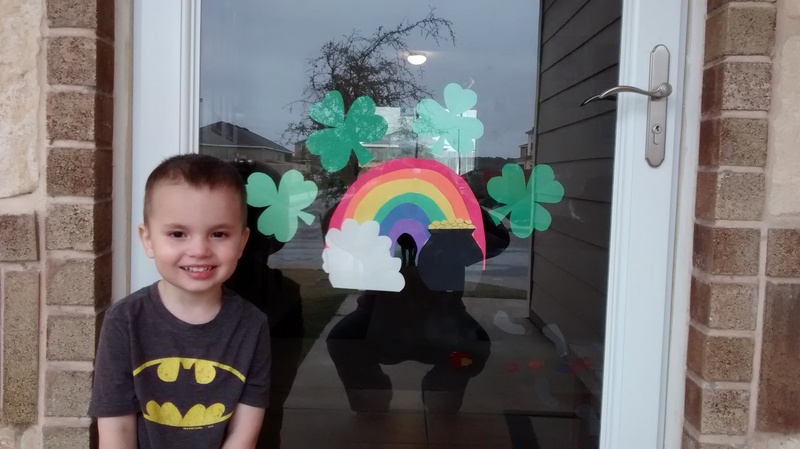 This time it is shamrocks, a rainbow (with a pot of gold), and some leprechaun footprints. I love that Paul was able to hang some at kid height so that Joseph can get his own jacket and hat (and also put them away). 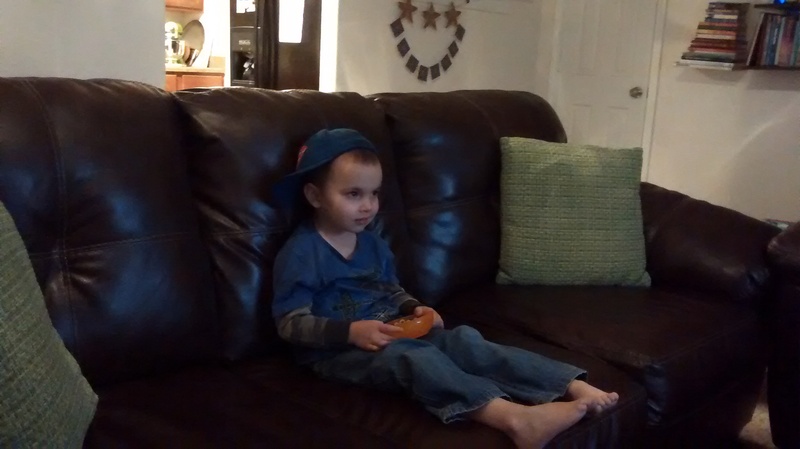 This kid…I have no idea where he get’s his style from. 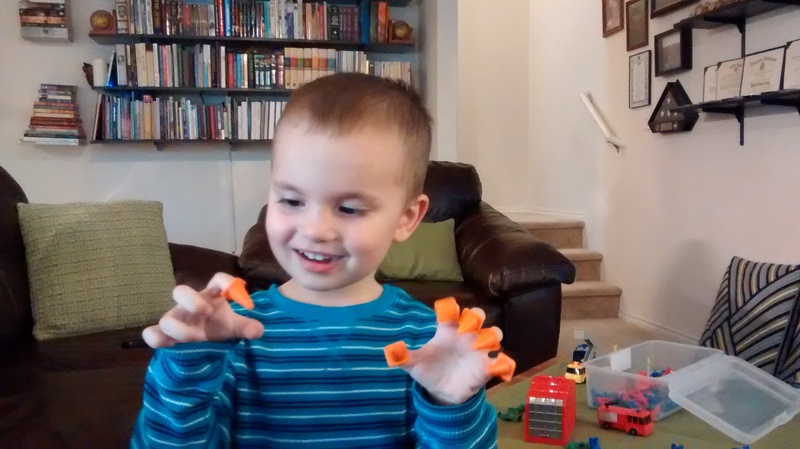 Mini traffic cones double as claws wonderfully. March?! When Did You Get Here?